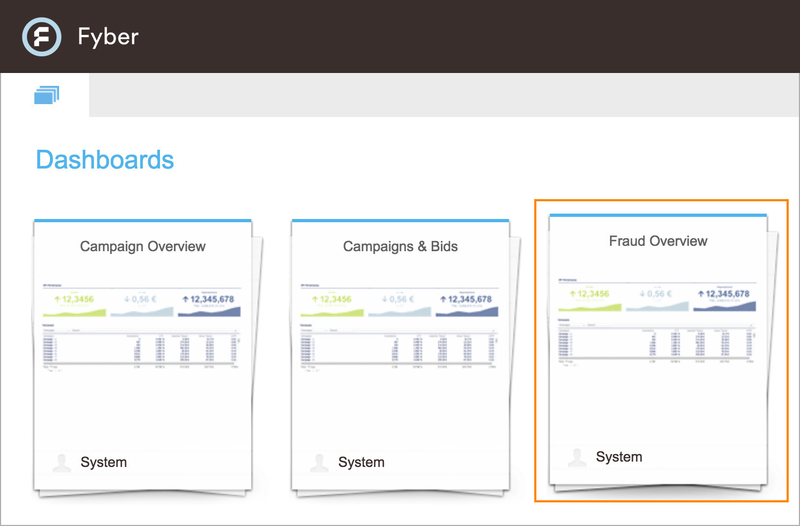 The newly released Fraud Overview Dashboard, in the Reporting section of Fyber RTB, is our latest tool to help you optimize the quality of your traffic through our Video SSP. The new Fraud Overview Dashboard displays pre-bid traffic quality metrics that are used by Fyber and Forensiq, our fraud-prevention partner, to prevent fraud within our exchange. With these reports, you can identify problematic traffic and optimize it to ensure you are only sending high-quality ad requests through our Video SSP. Please see below for descriptions of the graphs, KPIs, and tips on how to interpret and customize the reports. Requests vs. Ad Requests Blocked per Day: This shows the amount of ad requests blacklisted due to bad pre-bid scoring and manual blacklisting by advertisers. Top Publisher by Ad Requests Blacklisted: Per publisher, we show the amount of ad requests blacklisted due to bad pre-bid scoring and manual blacklisting by Fyber. Pre-Bid Avg. Score per Day: Average pre-bid score for your overall ad requests. Pre-bid Blocked Total: Ad requests blacklisted due to identified fraud. Pre-bid Checks: Amount of ad requests checked by Forensiq. Pre-bid Blocked Automatic: Amount of ad requests blocked due to pre-bid scoring (See deeper definition below with risk level ranges). Pre-bid Average Score: Pre-bid average score for fraud risk (See deeper definition below with risk level ranges). The different KPIs have risk levels to help you identify which traffic is highly likely to be fraudulent. See below for information on these ranges. Pre-bid Blocked: Fyber is currently blocking any ad requests that are scored 65 and higher to avoid any single risk. 0-64 Low Activity in this range has not been identified as fraudulent. 65-79 Suspect Activity within this range has passed some risk thresholds. Fraudulent activity is likely. 80-100 High-Risk Activity within this range has passed multiple thresholds. Fraudulent activity is highly likely. <3% Premium High-quality traffic. Fraudulent activity may be due to false positives, which is less than 1% in organic traffic sources. 3%-6% Low Fraudulent activity is unlikely. Some fraudulent activity may occur at the event level. 6% – 10% Moderate Some fraudulent activity is suspected, concentrated at the event level. Traffic mixing between human and non-human traffic sources is likely. 10%-20% Elevated Fraudulent activity is likely, some concentrated at the event level. Traffic mixing between human and non-human traffic sources is highly likely. 20%-30% High Fraudulent activity is likely to affect the entire source. Traffic mixing between human and non-human traffic sources is highly likely. 30%-100% Critical It is not recommended to buy from sources with fraud levels within this threshold. For custom reports and more in-depth analysis using the graphs, you can combine these new KPIs with inventory type dimensions like Publisher, Site, Placement, Referrer Domain, Inventory Type, Inventory Platform, Browser, Operating system, and Country. However, you will find no meaningful insights when combining these KPIs with demand-type dimensions, so please avoid this combination. In regards to referrer domain, please keep in mind that this is a hard dimension. This means that if the report is not limited by time, a massive number of domains will be displayed in rows within the graphs, making the report difficult to use. Therefore, we advise to limit timespan to just one hour, or use scheduled reports. Also, note that post-impression data will continue to be shared via email by Fyber whenever flags appear in your traffic. For any questions please contact your Account Manager, or email us at [email protected].